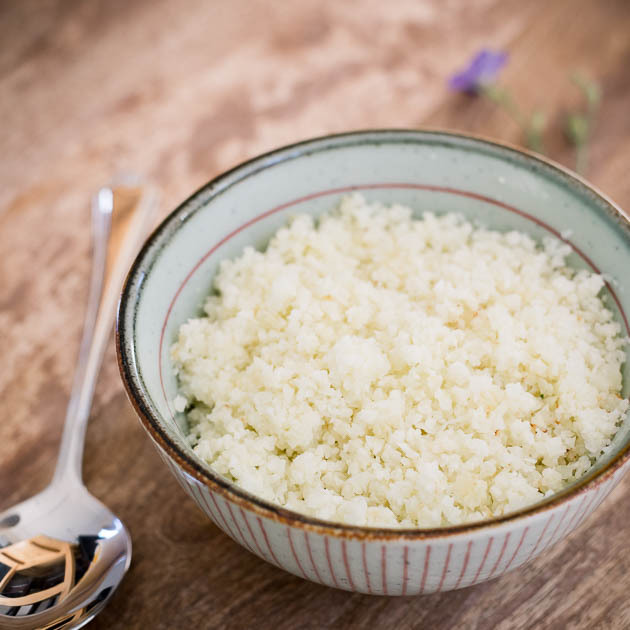 Process the cauliflower in the food processor until it forms very small “rice”-like pieces. Squeeze out excess water. Add 1 Tablespoon (15 ml) of coconut oil into a large pot. Add in the cauliflower pieces and let it cook on medium heat. Stir regularly to make sure it doesn’t burn! Cook until soft but not mushy. Add salt to taste and serve. 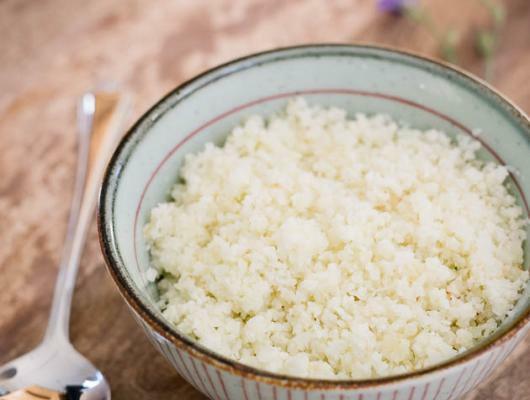 DESCRIPTION: This recipe here for cauliflower white rice is the most basic form of cauliflower rice.